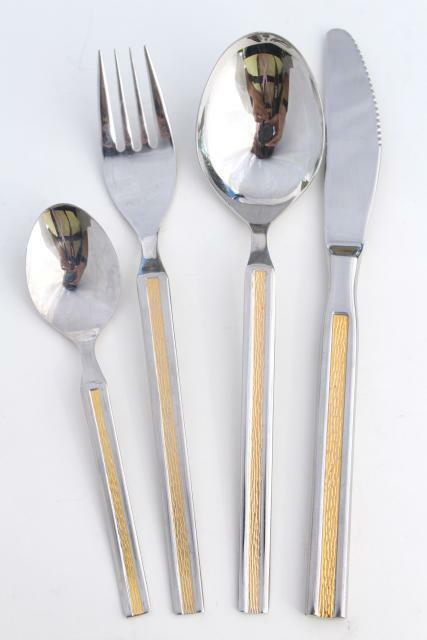 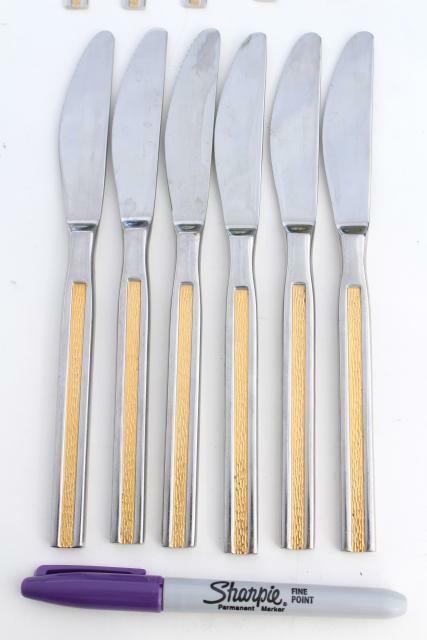 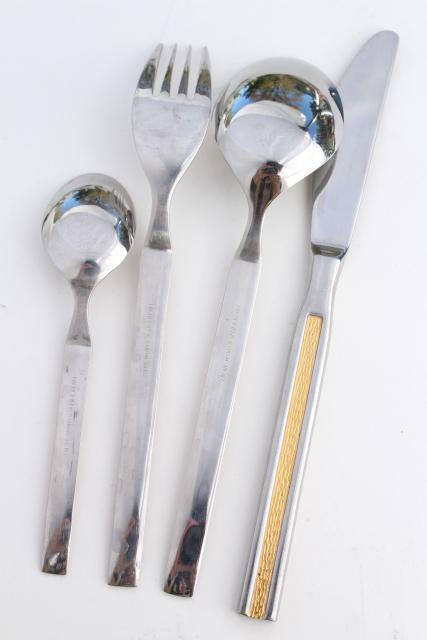 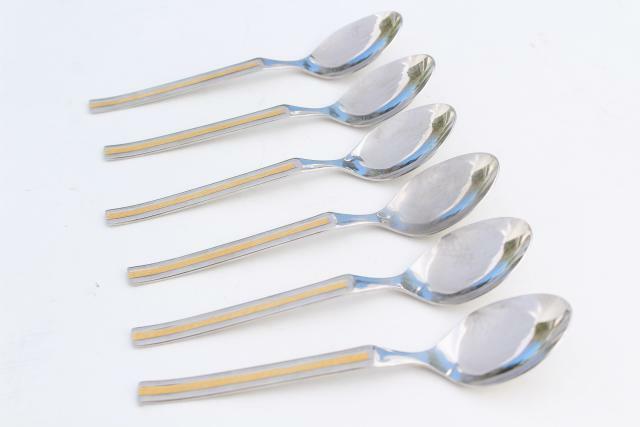 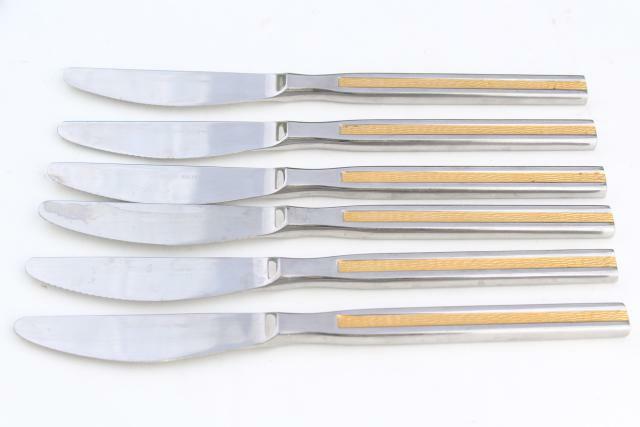 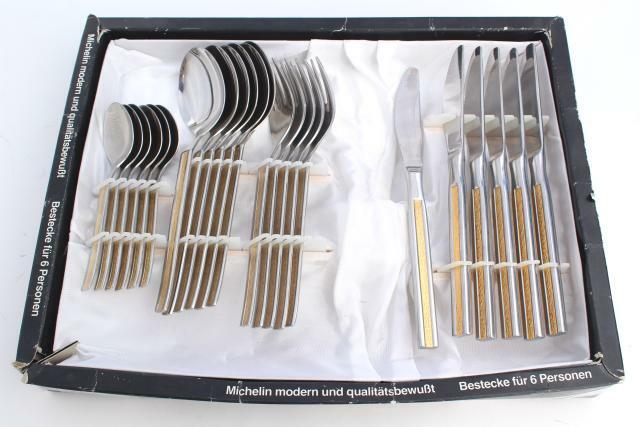 Vintage Michelin (Solingen Germany) stainless steel flatware with mod design, 1970s or 80s? 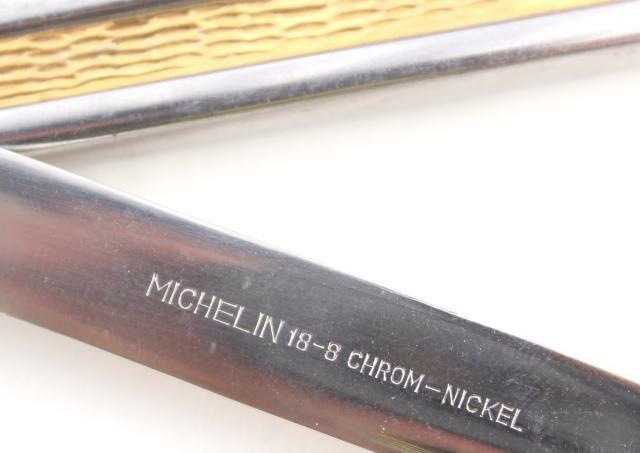 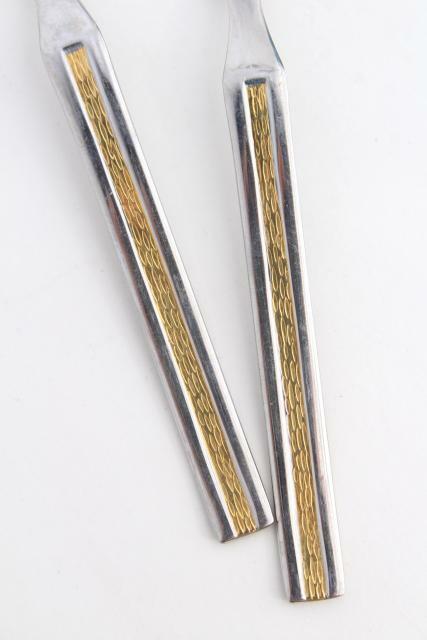 This is marked 18-8 chrom nickel (this is the highest quality of stainless steel) and has accents in gold or gold tone metal. 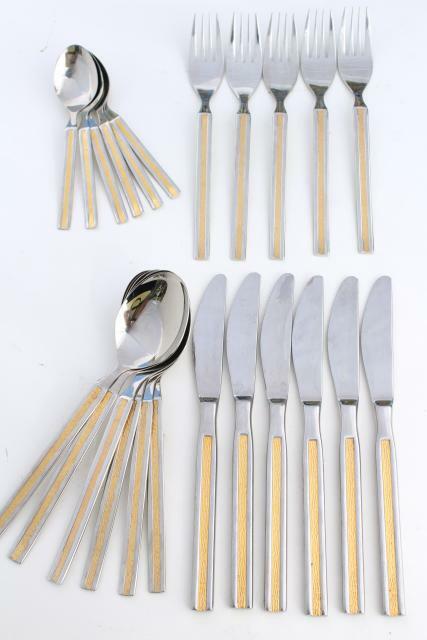 You probably won't want to put this set in the dishwasher! 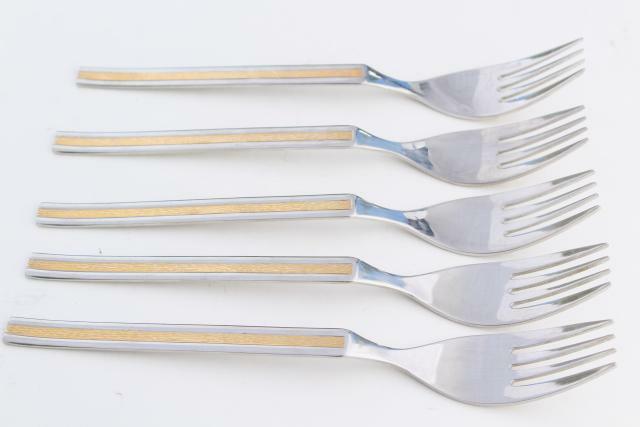 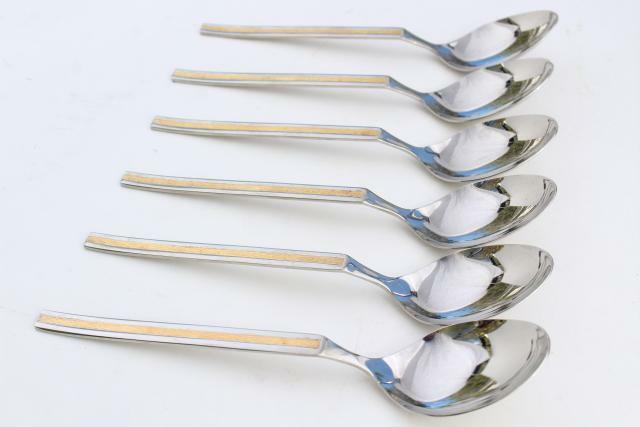 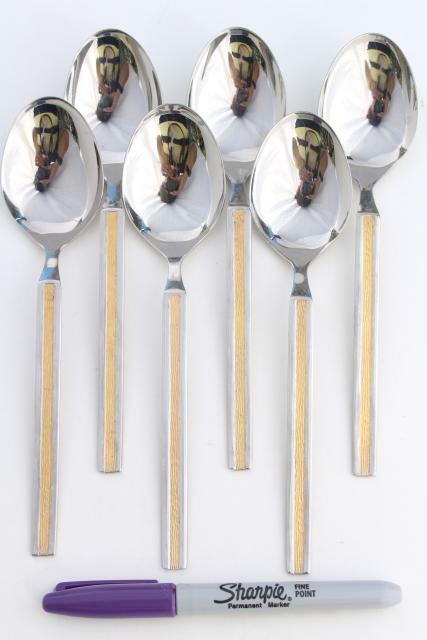 This is an incomplete set - it's a set for six, missing one fork. 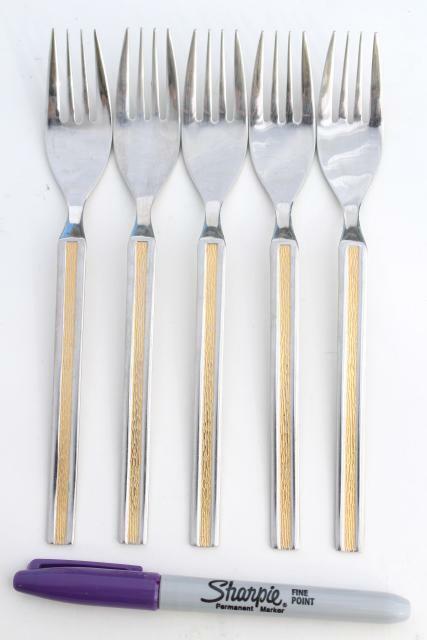 It's still in the original (very worn) box. 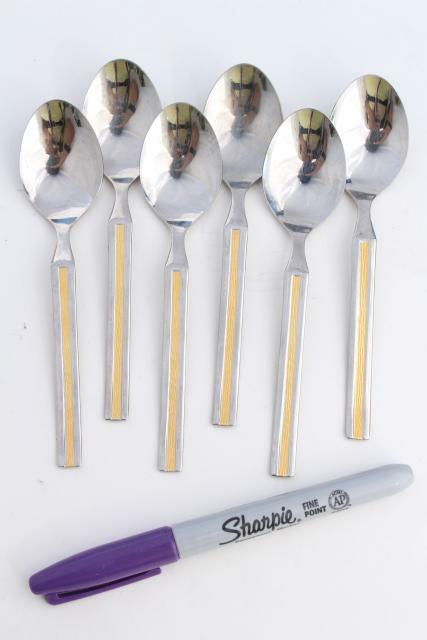 We don't believe the silverware was ever used.